A long block from S. Raymond Ave. was evacuated on Monday evening after Pasadena police were alerted to a suspicious device seen under a truck parked in the street. 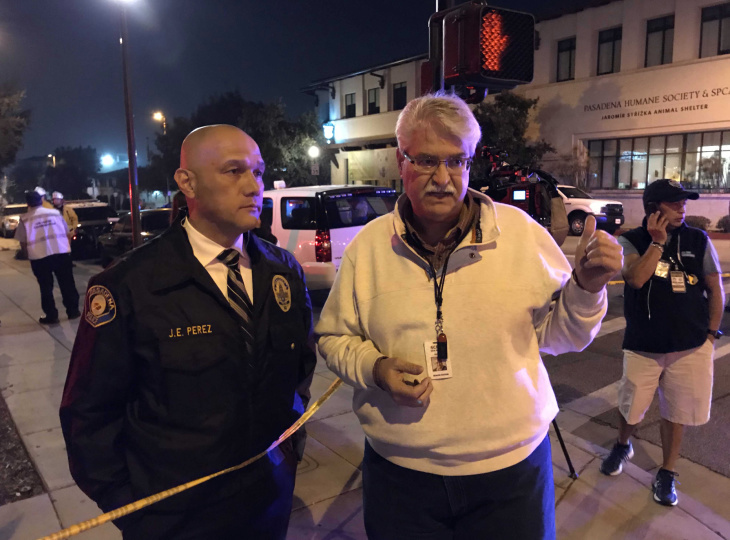 The evacuations include the headquarters of KPCC / LAist, where employees left the building at the request of the police. Regular radio programming was interrupted as a result of the evacuation. 94559003] Perez said the device on the vehicle "looks like it may be an explosive, so we now have experts who see how we will take the next steps. " Shortly after 9 pm The authorities detonated the device safely. "It's likely that it was not a device because we did not hear a loud explosion," Perez said. However, he said the authorities believe it was intentionally made to look real. His message to all who have made it: "We will catch you and you will pay the price for creating this kind of device and the terror in the community." Hey, thanks. You have read the whole story. And we love you for it. Our goal with LA is to treat the stories that matter to you, not advertisers. We do not have paywalls, but we have payments (including bills). So, if you love independent, local journalism, join us. Let us together make the world a better place. Donate now.